Chunzhu Wei, PhD researcher at Z_GIS successfully defended her PhD Thesis “Multi-scale spatial analysis methods from neighborhood to megacity”. In her Thesis, Chunzhu focused on applying multi-scale methods to combine different geographical units with physical, social and other contextual characteristics in urban geographic analyses. 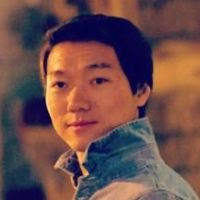 Chunzhu used in her research project two common geographical units – zoning units and grid-based units in order to investigate the influence of scale in urban geographic analyses from micro-scale to macro-scale. Zoning units were aggregated from census blocks and were mainly used when considering the micro-scale characteristics, while grid-based units were aggregated from remote sensing imagery and were preferred when analyses were carried out at macro-scale. The results of the dissertation showed that the conceptualized prototypes of zoning-based and grid-based semantic urban forms can serve as “prerequisites” to provide insights into complex human-environment interactions. Around 30 attendees listened to Chunzhu’s impressive presentation which was followed by a fruitful discussion between the evaluators, Dr. João Porto de Albuquerque from the Centre for Interdisciplinary Methodologies of the University of Warwick and Dr. Dirk Tiede from Z_GIS. Dr. Thomas Blaschke as the main supervisor acted as the chair. We wish her all the best for her future endeavours! 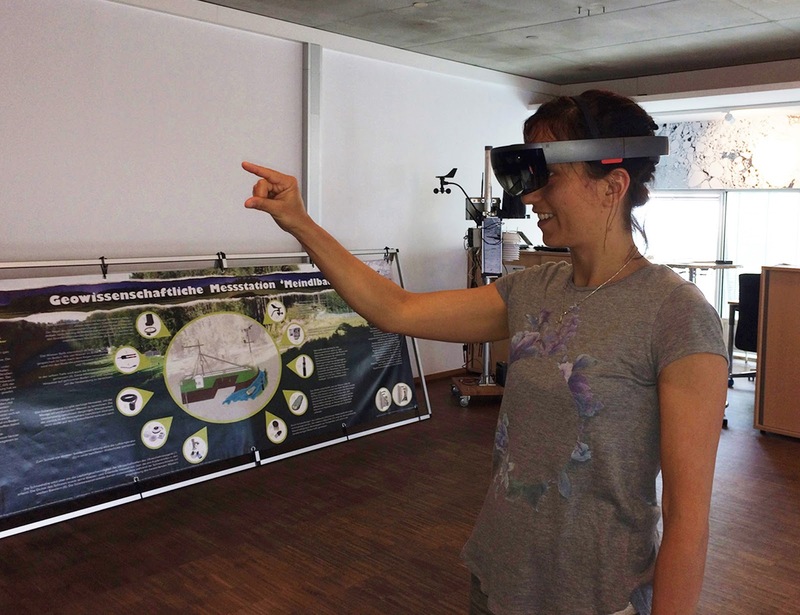 Friday, May 12 was high-tech day at the Science City Itzling in Salzburg. In the morning, school classes were invited to the research and education institutes. 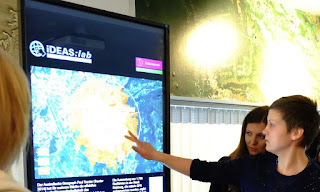 At the iDEAS:lab, pupils experienced geospatial technologies, showing: How can earth imagery support humanitarian action by analysing refugee camps? How are drone-based camera images used to construct 3D models? And how do user-centered routing applications work? In an 'open lab' session in the afternoon, families, students and the public at large joined the researchers to see what they are working on and to check out by themselves. 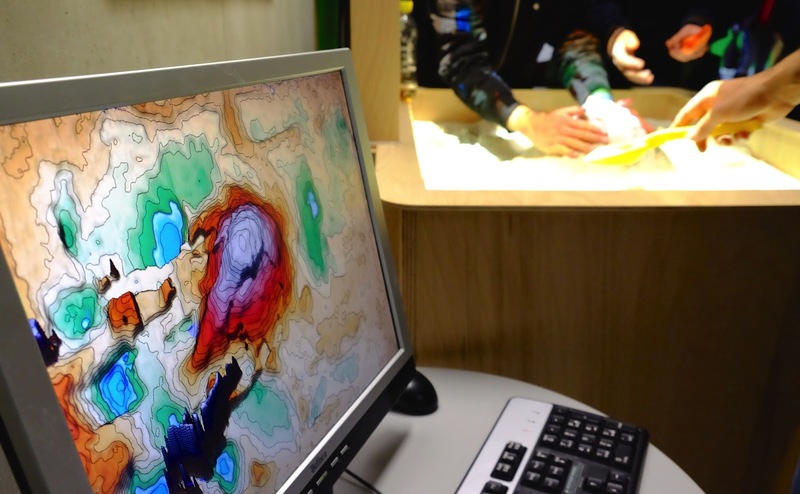 Winners of 'Young Researcher Award' in GIScience announced! 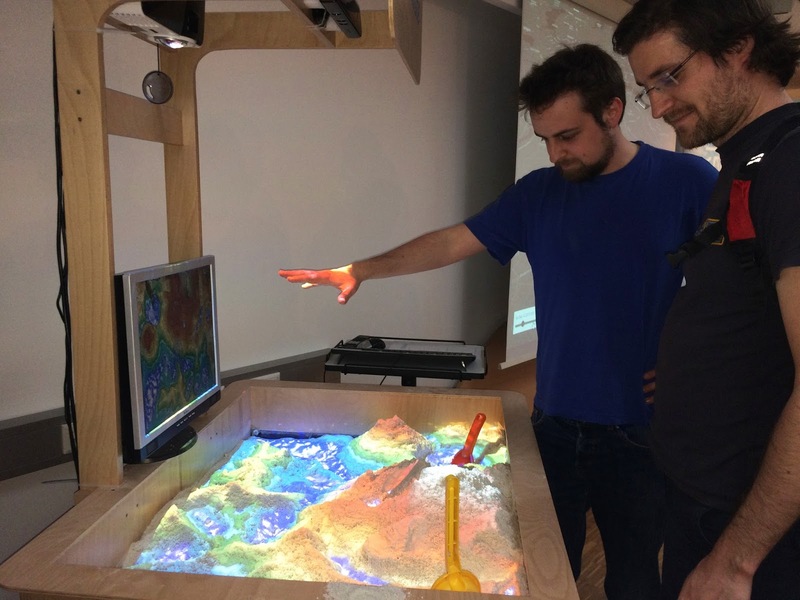 The Austrian Academy of Sciences' Commission for GIScience annually selects the winner of a 'Young Researcher' competition, based on an outstanding publication submitted by applicants. This year's review-and-selection process turned into a tight race, with two entries tied for first place. 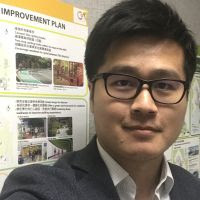 Xingjian Liu (The University of Hongkong, Department of Urban Planning and Design) for the paper co-authored with Ying Long (Tsinghua University and Beijing Institute of City Planning) on "Automated identification and characterization of parcels with OpenStreetMap and points of interest" published in Environment and Planning B: Planning and Design 2016, Vol. 43(2) 341–360. Congratulations again - and of course we will soon announce details for the 2018 'Young Researcher Award in GIScience'! Z_GIS' iDEAS:lab again opens its doors to the general public on May 12 from 3-8pm. 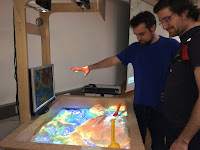 Throughout the month of May (labelled "Wissensmonat Mai" by Salzburg City) education and research institutes in Salzburg offer various knowledge-related activities for children and adults. Friday May 12, is high-tech day at Science City Itzling! 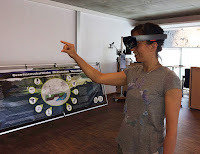 We are looking forward to meeting you accompanied by friends and family in our iDEAS:lab ready to explore a range of Digital Earth technologies. • preparing earth imagery for humanitarian action, etc. The iDEAS:lab (“Integrated Digital Earth Applications and Science Lab”) serves as a multipurpose open geospatial technologies and media lab, connecting education, research, the geo-tech industry and the public.